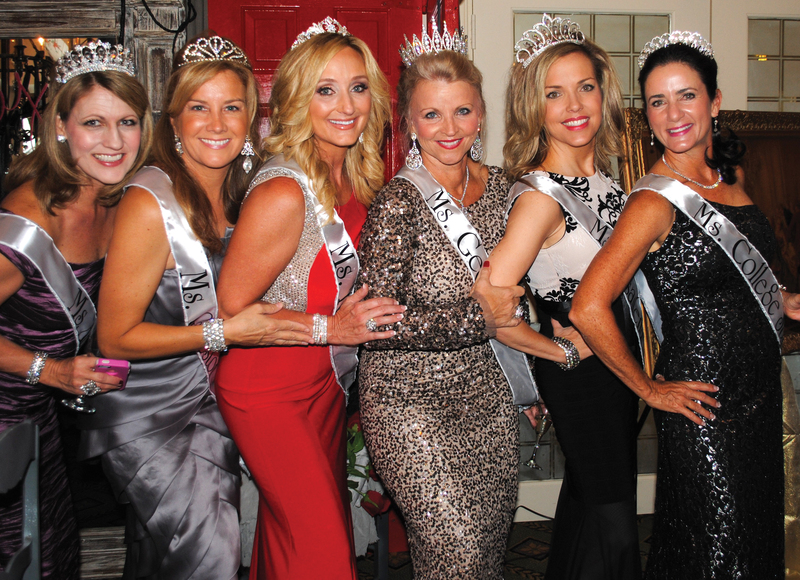 These pretty ladies line up to represent the theme, “If the Crown Fits,” at the Bay Area Museum Guild’s 9th annual Just a Pretty Table Luncheon at Bay Oaks Country Club. They are, from left, Lisa Roberts, Kate Foyt, Marie Sharp, Jill Reason, Terri Dodd and Lisa Barnard. TALK ABOUT TALENT! We really have an abundance of it in the Bay Area. 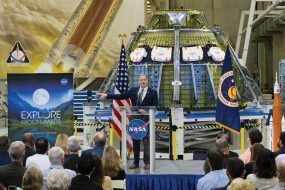 Not only rocket scientists, but talented housewives and business men and women as well. This is so evident each year when the Bay Area Museum Guild hosts its Just a Pretty Table Luncheon at Bay Oaks Country Club. 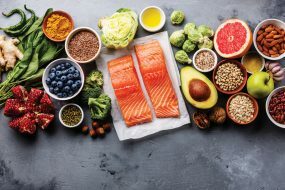 Each year you think this may be the year when they run out of ideas, and each year they surprise you with all new ideas and more beautiful table decor. And each year Chairman Angie Weinman is there to greet the arriving crowd, along with Anita Fogtman, Ava Galt and Mary Ann Baxter – all wearing big smiles and eager to see everyone’s reaction on entry. “Dreaming of a White Christmas” by Robyn Weigelt and Era Lee Caldwell caught everyone’s eyes as they walked into the ballroom, followed by dozens more, including one topped by the Rubber Ducky floating on blue bubbles, plus ladies dressed in gowns and crowns, to carry out “If the Crown Fits” and “Let Them Eat Cake” themes. 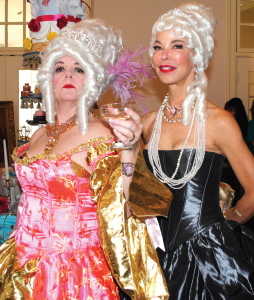 Kimberly Weathers, left, gives her best Marie Antoinette impersonation for the “Let Them Eat Cake” table as Tia Nyman smiles in agreement at the Just A Pretty Table Luncheon. And, Jill Reason, Lisa Barnard, Terri Dodd, Stephany Roush and Stashia Hardman; Janice Gornto and Lynn Smith; Rene Johnson; Jill Williams and Peggy Heinrich; Jason Holquin; Missy Rorrer and Jana Miller; Joy and Jill Smitherman; Carol Bergman; Tracey Webb, Peggy Clause; and Kelli Byrd and Karen and Jenny McCorkle. Need we tell you how many, many compliments they received? Among those you might have spotted wearing big smiles as they mingled with the crowd of more than 200 were Judie Ferguson, Linda Goerland, Diane Vest, Brandie Corrao, Kristy Tankersley, Stacy Fisher, Kay Smith, Roz Clayton, Tricia Gunn, Sally Jordan, Sharon Dillard, JoNell Hunter, Karen Keesler, Laura Godwin, Tricia Totten, Barbara Straty, Kathy and Mike Reeves and Ann Wismer Landolt. 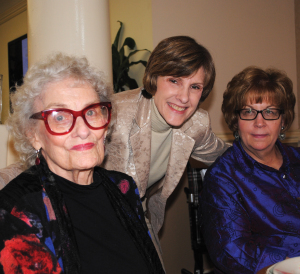 Joy and Jill Smitherman, from left, and Donna James catch up on the news during the Bay Area Museum Guild’s 9th annual Just a Pretty Table Luncheon at Bay Oaks Country Club. Some of the others in the happy crowd were Cheryl Maultsby, Ateya Abouleish, Alice Marinos, Jan Bailey, Diane Shuman, Joy Edwards, Judy Raiford, Pam Culpepper, Ann and Ondi Lyon, Sue Broughton, Mary McMullen, Diane Konick, Pat Biddle, Mary Ann Shallberg, Becky Reitz, Annette Dwyer, Cathy Whitworth, Terri Dieste, Nancy Poffenberger, Barbara Dickey, Ellen Mosher, Ginger and Carla Pampolina, Stacy Bush Davis and Mary Williams. 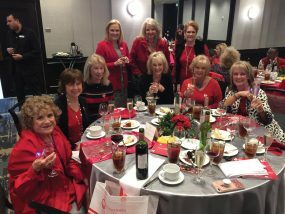 THEIR NOV. 8 gala was on everyone’s mind as the Bay Oaks Women’s Association gathered at the country club for their monthly luncheon with Gala Chairman Lea Bodie reminding them of their duties. 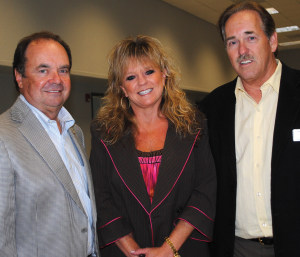 Several mayors were in the large crowd as former Webster Mayor Floyd Myers was honored for his 50 years of service to both his city and the Bay Area community at a reception held at the Webster Community Center, including, from left, Louis Rigby of La Porte, Donna Rogers of Webster and Mark Denman of Nassau Bay. And, while It was still the Halloween season, there was the Dec. 8 Holiday Market to plan, President Annette Dwyer pointed out as Ann Brady, Sue Ellen Jennings, Barbara Miller, Suzie Rogers, Georgia Piwonka, Jennie Brayley, Marilyn Lunney, Melissa McKinnie, Carlene Langford, Rita Johnson, Emmeline Dodd, Priscilla Ennis, Gloria Cruz and Jackie Daley joined the crowd. Wasn’t long before they found themselves in the company of Badiha Nassar, Sheree Frede, Danele Buehler, Jan Duffy, Karen Reed, Ebby Creden, Ruth Beecher, Chris Howland, Joan Burt, Jodi Schnabel, Fran Gentry, Sharon Phelps, Norma Ogletree, Janet Greenwood, Angela Swint, Courtney Atchley, Courtney Teague, Kay Lee Benoit, Rebecca Hensley, Diane Overman and Carole Kloesel. 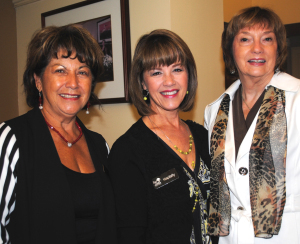 Hospitality Committee members Tencha Heimlich and Amy Schweers, from left, welcome Bobbie Moutz to Bay Oaks Women’s Association October luncheon. Bobbie Moutz was also in the crowd, as were Nan Kimball, Carol Base, Nancy Sanders, Allyson Jackson, Sharon Christman, Amy Schweers, Angela Bivens, Mary Colombo, Carol Short, Sue Broughton, Danette Spriggs, Lisa Chaney, Terri Steinkamp, Kathy and Linda Costanza, Kimberly Walker, Dana Brown, Barbara Visser, Theresa Brogan, Molly Gorrell, Tencha Heimlich Liz Clark, and new member, Liz Clark. FORMER MAYOR Floyd Myers was honored for his 50 years of service to the Bay Area community as city councilman, mayor and Clear Creek School Board trustee and president at a big reception at the Webster Civic Center Sept. 25, with many he has served with in attendance. State Sen. Larry Taylor presented him with a legislative proclamation citing his long years of service. Mayors Donna Rogers of Webster, Mark Denman of Nassau Bay and Louis Rigby of La Porte, Webster City Manager Wayne Sabo, many current and former Webster council members, Webster and Nassau Bay City Secretaries Pauline Small and Paula Jones, to name a few.